Great work Dawson! Thanks, Breck and Nicole for helping us develop healthy habits for our whole family. Worked on changing my decent. Trying to stay upright and keep my hands in front of my chest. Use my feet as a break. 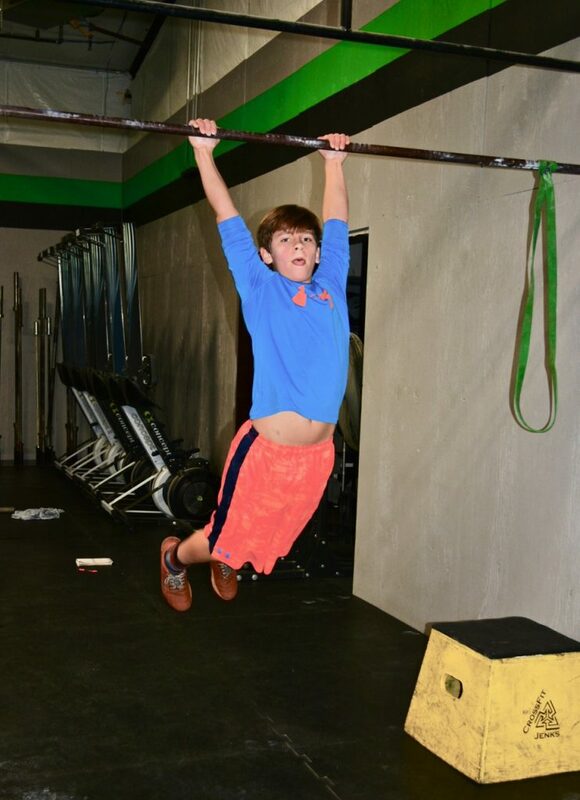 10 ft rope climb on evens…finally found my groove! Good job, Mike! I couldn’t catch you at the end! Arms were DEAD after that! Got VERY hard by rd of 8s! just cruised theough WOD after that strength portion! Jess, did you get a fit-aid? This morning he promised a fit-aid if someone did all the MUs. He said I would win one if I completed it which I forgot to grab and give to someone since I wouldn’t be drinking it! No false grip with full turn out on MU. No fails. That’s a win for me. Went home instead of doing the WOD. . . .